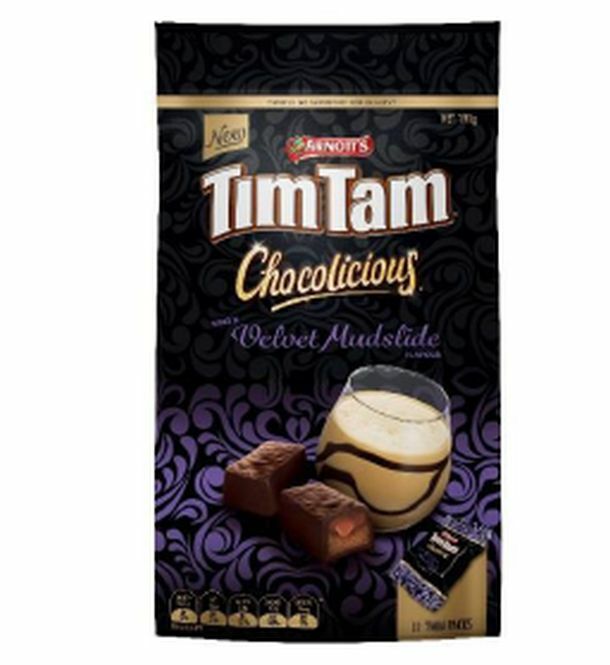 Mocktail Tim Tams: skip a night out and eat these instead, suggests Arnott's. Arnott's has released a new limited edition Tim Tam “mocktail” range that it claims offers consumers “the magic of a night out without having to leave the house”. Other advantages cited by the manufacturer are “no queuing at the bar, no being hit on by a drunk, no bad decisions and no morning after headache”. The mocktail variants include Virgin Pina Colada, Virgin Espresso Martini, and Virgin Strawberry Champagne, and Virgin Chocolicious Velvet Mudslide in a bite-sized pack. The Tim Tams RRP for $3.65 and the bite-sized Pack for $4.39.